Eye-Catching Custom Designed Graphics For Your Facility & Events! Custom graphics designed and digitally printed to fit your needs just right. A wall padding can have dynamic colors and graphics that can enhance the setting. Vibrant colors and large-scale graphics can visually stimulate the spectators’ view. A powerful and large logo can encompass the center of the wall padding or you can use your school mascot to represent the center of the wall padding. GameDay’s Wall padding can include sponsor advertising, branding opportunities, directional guidance, and conveying safety messages. 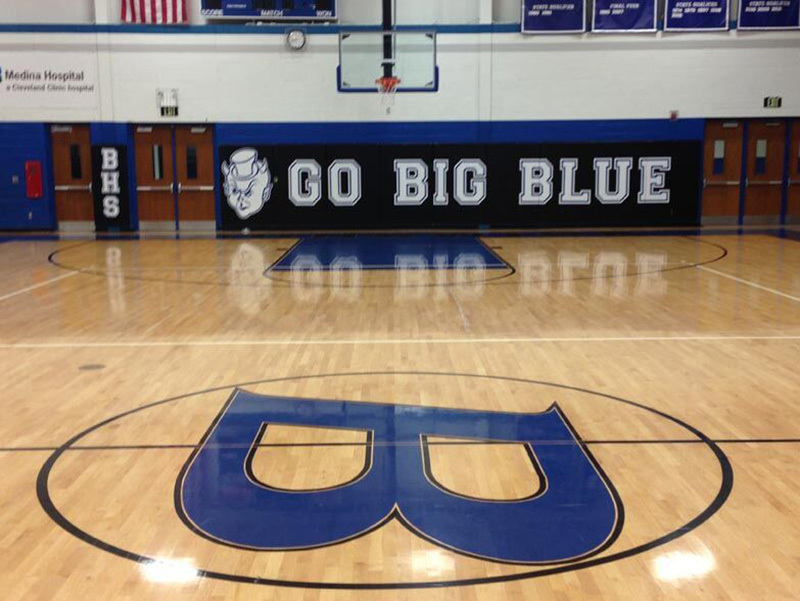 Our wall pads are custom made for your school! Wall padding can be used for gymnasiums, stadiums, arenas, wrestling rooms, and any area that would need protection. Give us a call today to learn more about how we can help you! © 2019, GameDay Vision. All Rights Reserved.